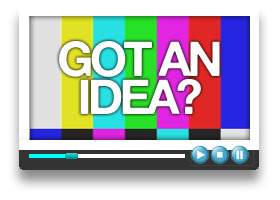 Got an idea and not quite sure how turn it into a video production? Maybe it your idea is so different that you cannot categorise it into one of the areas we have covered on our site. NisusHD love taking on new video production challenges and thinking outside of the box. We can come up with exciting ways of communicationg the ideas in your head into real life working videos that bring to life your ideas in a way for everyone to enjoy and understand, helping people to engage with you or your organisation. Whether it is a corporate video or a promotional video, 30minutes long or 20seconds long, black and white or full colour hd, we are more than happy to consider any projects. Get in touch with us and we will be more than happy to discuss your project with you.